In "Spider-Man: Edge of Time," Spider-Man faces one of his greatest challenges ever - saving Spider-Man. 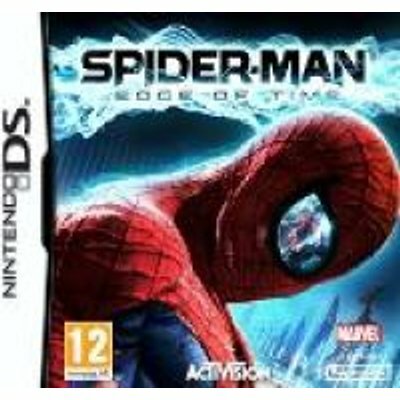 Developed by Activision-owned studio Beenox, Spider-Man: Edge of Time challenges the player to take on the roles of both classic Amazing Spider-Man and Spider-Man 2099 to correct a time stream gone awry and prevent a catastrophic future brought on by the early and untimely death of Peter Parker. "Spider-Man: Edge of Time" is a focused, action-packed adventure set in two connected and evolving timelines, from the contemporary times of the Amazing Spider-Man to the corrupted future world of Spider-Man 2099, against the backdrop of a rich, tightly crafted narrative by acclaimed Marvel veteran Peter David (co-creator of the comic book series Spider-Man 2099). The game features all-new "cause-and-effect" gameplay, where players will see how the immediate and sometimes unexpected effects of their actions as one Spider-Man changes the timeline of the other Spider-Man.